In fact, the disciples have not even spoken since the last question was posed by Judas (not Iscariot) in 14:22. There he asked, “Lord, how is it that you will manifest yourself to us, and not to the world.” This definitely has the disciples talking again and maybe that is exactly what Jesus was provoking. Because they were so confused, the disciples “murmured among themselves” (Yarborough, 165). Of course, this isn’t the first time that they murmured or reasoned among themselves; they had done it on several occasions. Jesus knew that they really wanted to question Him. He could most likely see the puzzled looks on their faces and hear the mumbling around the room. The problem was that they asked one another instead of the Lord, but Jesus is merciful and sets up a response by repeating His statement again in verse nineteen. Of course, what Jesus has said is probably just as confusing to us as it was to the apostles. The answer which comes next is important. In verse twenty Jesus now begins His response to their question. We know that it would be just a little while and Jesus would be crucified and buried. The disciples would no longer see Him. After another little while He would be raised from the dead and the disciples would be able to see Him once again. During that period of not seeing Jesus the disciples would most certainly weep and lament. The world, though, would count the death of Jesus as terrific and would rejoice over the fact of getting rid of what they considered to be a menace to society. In the last phrase of verse twenty we hear the Gospel message. Christ can turn sorrow to joy and that is exactly what happened for the disciples on resurrection Sunday. Jesus would return to them, and their sorrow would be turned to joy. This is what we will be celebrating in about a month as our Easter celebration arrives. Next, Jesus uses an illustration of a mother giving birth to describe what He has just said. I think that most, if not all of the mothers in the room know this verse to be true. I have heard many mothers say, even those who had several complications, that as soon as their child was delivered the pain goes away. I have been told that the process is not even remembered when they are able to hold their baby for the first time. A mother’s heart rejoices to see her child and no one or no thing can take that joy from her. (We should add that some women may disagree and say that they remember the pain. Fair enough, but Jesus’ point is that the joyous prospect of a baby being born makes the pain worthwhile). The same would be true of the disciples. They would be sorrowful at the death of their Friend and Master, but when they saw Him again the pain would be worthwhile. Their hearts would rejoice and no one would be able to take their joy from them when Jesus was raised from the dead; that is excitement and that is good news. No one can steal the joy that you have from meeting the risen Savior! You are a Christian; you have been born again; you are a child of God; the joy that comes from that cannot be taken away from you by anyone! 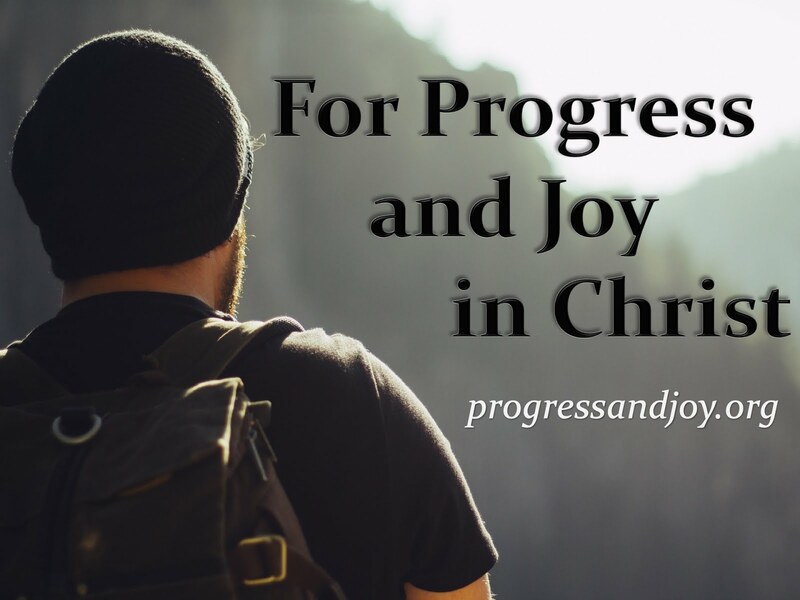 Jesus has come to give us joy. He wants our joy to be full in Him. Do you know the line in the hymn, “Rejoice! Rejoice! O, Christian, lift up your voice and sing, eternal hallelujahs to Jesus Christ, the King”? What is the title of that hymn? He Lives! The day would soon come when the disciples would no longer need to ask Jesus about the things that they were having difficulty understanding. Jesus had said so many things about His crucifixion and resurrection for which the disciples simply had no reference. At the time, they could not understand why the Messiah would die. Yet, after the resurrection they would know. In fact, it was when the Apostle John looked into the empty tomb that he says he believed. Their questions would be answered, so in that day they would ask Him nothing. They would simply believe. An extension of that faith would be an authentic and healthy prayer life. They would be so immersed in Christ that they could truly ask in His name, i.e. in full accord with His person. The idea of asking in Jesus’ name was detailed in chapter fifteen, but now it is put in proper order according to salvation history. It would be after the glorification of Christ that the disciples would be able to ask the Father for things in Jesus’ name and receive those things which would cause their joy to be full. All the things that Jesus has said throughout the discourse have been said in figurative language, that is, mysterious and obscure language. Both the riddle in verse sixteen and the parable in verse twenty-one fall into this category. There would be a time when Jesus would tell the disciples “plainly” about the Father, that is, openly and clearly. The time that He foretells will be after the crucifixion/resurrection and will be marked by the coming of the Holy Spirit. I think that it is mainly the Spirit of Christ who would speak plainly to the disciples about the Father, but Jesus most certainly spoke to the disciples after the resurrection and before the ascension. I find it interesting that Jesus says that He would tell them about the Father. We may have figured Him to say that He would tell more about His incarnation, or about His death, or about His resurrection. Yet, He says, “I will tell you plainly about the Father.” Jesus always directs our attention to the Father, but in doing so we realize that Jesus is the ultimate self-revelation of the Father. If you have seen Jesus, you have seen the Father. If you understand the person of Jesus then you understand the person of the Father. We have talked about praying in Jesus’ name. He has spoken of it at several points during the discourse. We are now told that in the power of Christ’s name they would bring their requests directly to the Father. They may not understand it yet, but the righteousness that Jesus’ would secure for them would be their means of personally and individually entering into the presence of God the Father. How would they receive the power associated with Jesus’ name? Verse twenty-seven tells us that the Father already loved those disciples because they had loved Jesus and had believed that He came forth from God. Verse twenty-eight is one of those plain statements that Jesus says He will soon share. In two sentences He describes “the great movement of salvation” (Morris, 630). First, Jesus came forth from the Father. He was in a heavenly abode in a state of unconstrained glory. He was then commissioned by the Father with a task. Second, Jesus came into the world. This speaks of the incarnation. This is what John said in chapter one with the expression, “The Word became flesh and dwelt among us.” Jesus humbled Himself to become a man and even went as far as death, even death on a cross. Yet, He was raised from the dead three days later. Third, after completing the task that He was commissioned to do Jesus left the world and went back to the Father. The ministry of Christ came full circle. He was sent out as the unique, self-sacrificing ambassador of God the Father and He returned to Him after accomplishing the mission. The disciples think they understand, and, with a hint of sarcasm, Jesus responds, “Do you now believe?” The slight understanding that they seemingly had that night would not be lasting. They would be scattered in fear and sorrow. Jesus would be without His “friends” as He went to the cross. They make a bold confession of their faith and almost immediately fail when challenged by a testing situation. How typical this is of us humans! We are boldly confident, sure in our faith, and when the first test comes we are weak and vulnerable. What we realize in the Gospel message though is that when we are weak Christ is strong. We are not saved based on our righteousness, but on His. When we fail, we can turn right back to God. We can confess our sins and He is faithful and just to forgive us and to cleanse us from all unrighteousness. Although Jesus would be without these men, He assures them that He will not be alone because the Father is with Him. These things have been said that the disciples may have peace. Jesus has given several reasons for saying what He has said. He has said that He wants them to believe, He wants them to have joy, and He wants them to abide in His love. Now He returns to peace. Peace that surpasses understanding is what the disciples needed in just a few short moments as the night and next day became chaotic. The entire discourse has been a means of preparing the disciples, giving them peace though they would face tribulation. Until Christ returns, Christians hold citizenship in both the world and the kingdom of God. Jesus says that in Him we may have peace and in the world we will have tribulation. With or without Christ, this world is full of tribulation. The questions is, are you in Christ? Do you have His peace? The Lord knew full well that the disciples would abandon Him and scatter and yet He still promises them peace. He looked forward to their time of restoration. How sovereign, forgiving, and provisional our God is in Jesus Christ! Jesus does not say, “Be of good cheer, you can overcome the world if you try hard enough;” neither does He say, “Be of good cheer, I have overcome the world, and you can too.” What Jesus says is, “Be of good cheer, I have overcome the world.” The “I” is emphatic. Jesus has overcome the world. How does this fact help us? Well, we are “in Christ.” We have been empowered by His Holy Spirit, entrusted with His words, given His righteousness and the benefits of His sacrifice and resurrection, and are able to pray to the Father in His name. We are so associated with Him that His victory is ours. (1) So, my first conclusion is to say that Jesus is not a Buddha who has lived an outstanding human life and can offer us no help in our lives. Jesus Christ is the Son of God who put on flesh and blood so that He could achieve for us righteousness and salvation. Benefits are showered all over us because of His life, death, and resurrection. Yet, you cannot stand to the side without any commitment and expect these blessings. You need to commit to Him, be united with Him, and fully trust Him in order to fully experience His person and benefits. You cannot overcome the world on your own, but Christ already has. (2) You have a joy that no one can take from you. Despite the world’s hatred, persecution, and sufferings, you are a child of God who has been promised eternal life without all of these pains. Allow Christ to fill up your joy, and be satisfied in Him. (3) Since we are united with Christ and have been given His righteousness, joy, peace, love, and more, we can go forward in this world with great cheer, courage, and confidence. This is part of preparing for whatever persecutions, sufferings, or challenges that may come. We must proceed boldly in the power of the name of the One who has already overcome the world. There is no fear or timidity in that perspective, is there? Let us go forth to make disciples knowing that we will have tribulation, but Christ has already overcome the world.